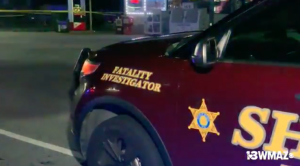 A Macon motorcycle accident tragically claimed the life of a rider Saturday night, April 13, 2019. According to WGXA.tv, the wreck happened just before 9:30 p.m. Saturday when a vehicle “crossed Eisenhower Parkway from Pine Avenue to Laveta Drive” and allegedly “pulled out in front of a Kawasaki motorcycle driven by 54-year-old Anthony Wayne Neal.” “Charges…are the pending based on the investigation” against the driver of the vehicle that struck Mr. Neal” reports 13WMAZ.com. As the details of this tragedy continue to develop, the family of Anthony Wayne Neal may elect to file civil claims for their loss. Based upon its experience and success handling motorcycle accident claims in Georgia, The Murray Law Firm suggests that the Neal family should retain an experienced personal injury firm to protect their interests and ensure an unbiased investigation. Photographs of the roadways involved and a review of surveillance footage from nearby businesses or properties, if any exists, will need to be performed immediately before any evidence is damaged or destroyed. 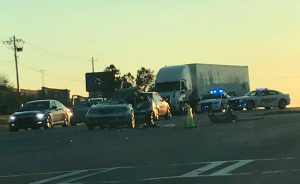 The Murray Law Firm has obtained over $100 million dollars in verdicts and settlements for its Clients, including for victims of Georgia motorcycle accidents such as this one. We represent our Clients on a contingency agreement, which generally means that no fees or payments are owed until and unless we recover. Anyone seeking further information or legal representation is encouraged to contact us via e-mail (click here) or by telephone at CALL NOW: 888.842.1616. Consultations are free and confidential. Crane Accident on St. Simons Island Kills Man; Compensation Available to Family? Did an equipment malfunction contribute to this work related death and are justice and compensation available to the victim’s family? A worker was killed at a St. Simon Island, Georgia company on the morning of April 9, 2019. According to TheBrunswickNews.com, “A man was killed Monday afternoon on St. Simons Island during a work accident at a company off Sea Island Road.” The news story reports, “[t]he man was operating a crane lifting a large slab of marble…[t]he slab of marble fell onto the man.” The man was taken by ambulance to “Southeast Georgia Health System’s Brunswick hospital, where he was pronounced dead.” The death was ruled accidental according to the report. Under Georgia Workers’ Compensation law, our legal team suggests that the family of the victim will most likely be entitled to significant compensation as a result of this accident. The victim’s family will be eligible for benefits under Georgia’s workers compensation laws, but they may also hold a third party civil claim against the manufacturer of the machine that the victim was operating at the time of his death. Because this potential products liability claim is dependent on the facts surrounding the incident, it is imperative that an experienced attorney be retained without delay so as to ensure that all evidence connected to the accident is preserved. The Murray Law Firm has recovered millions of dollars for individuals who have been hurt, or families whose loved one has been killed, in a workers compensation accident. We are based in Atlanta, but represent Clients throughout the state of Georgia.. We have obtained over $100 Million in verdicts and settlements for our Clients, including a $29.25 million dollar verdict for a victim of an unsafe property. We offer our legal assistance, if desired. Justice Available? Felicia Stribling Injured in Macon Eisenhower Parkway and Log Cabin Drive Accident. A motor vehicle accident is involving three vehicle injured two people Wednesday, April 10, 2019. Charges are pending according to the media reports. As the details of this accident continue to develop, Felicia Stribling may elect to seek justice and file a civil claim for their injuries. Based upon its extensive experience and success handling these types of motor vehicle claims in Georgia, The Murray Law Firm suggests that Felicia Stribling should retain an experienced personal injury firm to protect their interests and ensure an unbiased investigation. 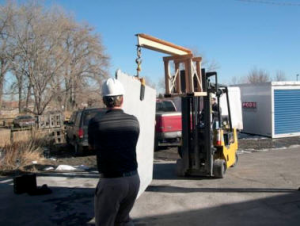 Photographs of the roadways and vehicles involved and a review of surveillance footage from nearby businesses or properties, if any exists, will need to be performed immediately before any evidence is damaged or destroyed.